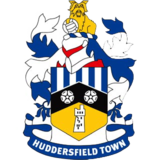 Once again we are thanking Huddersfield Town for the use of their ground and facilities they have been most suportive by hosting 3 of the 5 games todate. Today we hosted the 5th Toy Trade Alternative making a further £ 25,000 making a total of over £ 125,000. Once again we have a Ladies game, Vets game and a those who must win Young Mens game. The Northern teams won everything which was pleasing to me. The kids enjoy a penalty shoot out and a pre match Majorette Band entertained the crowd. Peter Will takes the trophy presented by Barry Sheerman MP. I introduce the Mayor to the teams.